This book contains fifteen major essays on international economics. The authors investigate five principal themes: theory, and empirics, of financial issues in open economies; economic growth; public economies; and political economy. 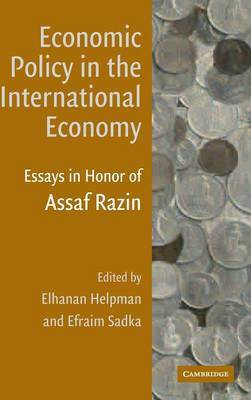 Written to honor Professor Assaf Razin of Tel Aviv and Cornell Universities on the occasion of his sixtieth birthday, the essays pay close attention to policy issues as well as formal analysis. The contributors include renowned specialists in international economics based in North America, Europe, Israel, and China. This volume of advanced research will be of interest to scholars, policy makers, and advanced students alike.